Earlier this month, the Dow Jones Industrial Average (DJI) was under great pressure, with a trade confrontation between China and the U.S. looming in the background. However, one component of the DJI has been very stable, holding firmly in the green territory, and you already know which one we're talking about – Coca-Cola Co.
Boasting 56 years of stock history, Coca-Cola remains a snack and beverage juggernaut with stable and valuable shares. Translated into statistics, the company has managed to keep the price to sales ratio of 5.23, with the industry average of 1.60. The price to sales ratio is the ratio of the market value of equity to the sales. 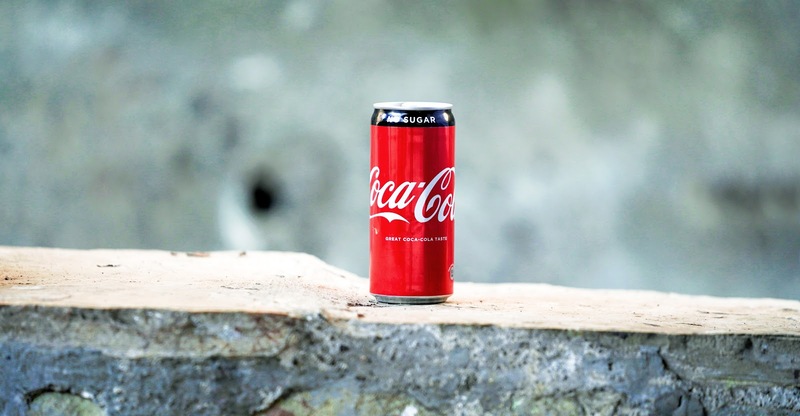 Our expert trader and analyst Nenad Kerkez will provide us with a more detailed overview of what's currently happening to the Coca-Cola Company share CFD price (#KO) and what to expect in the near future. Read on! The Coca-Cola price has formed a bullish W pattern. It suggests a further bullish continuation. The transition between downtrend and uptrend started when the price broke the blue trend line to the upside. The green trend line indicates a potential retracement that formed the POC zone – the zone traders could use for buying the stock price (43.60-43.90). If there is no retracement, pay attention to 44.37 re-test and continuation towards 45.01. Above 45.01 (point 2), the next target is 46.37. As long as the price stays above 46.37, there is a chance that 48.61 will be reached again. Trade a Wide Range of Share CFDs with Admiral Markets! Share CFDs are a convenient long-term investment opportunity, as long as you're familiar with the stock history of the company. Explore our share CFD product offering to single out the companies of interest! If you're new to the market, remember to test your skills every time before going live on our Demo account that offers you stress and risk-free trading environment, which includes virtual funds.